THE PROSPECT of Carlton passing up the chance to recruit gun midfielder Sam Walsh by trading the first pick in this month's NAB AFL Draft "doesn't make any sense", according to Geelong Falcons talent manager Mick Turner. A number of options relating to pick No.1 remain available for Carlton; Jack Lukosius is still believed to be a realistic chance of heading to Ikon Park with the first selection at the draft, while trading the pick for multiple early selections also remains firmly on the club's radar. 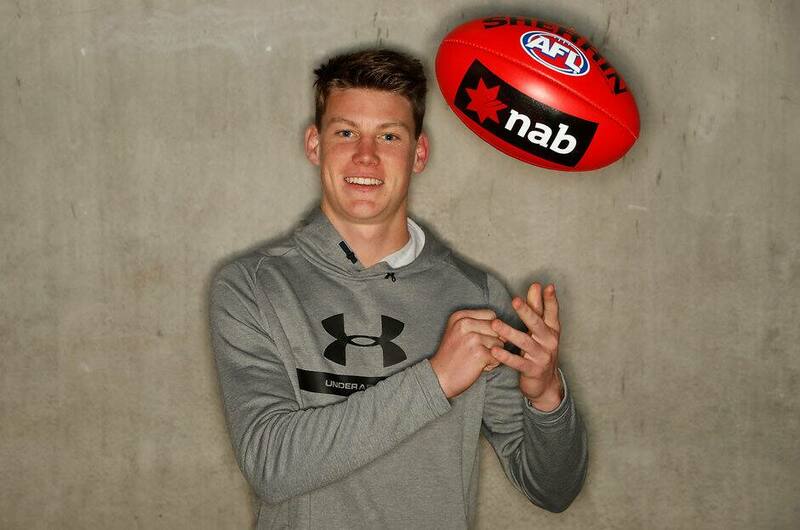 A host of Carlton officials met with South Australian duo Lukosius and Connor Rozee at Ikon Park on Wednesday, fuelling speculation the club could look to move down the draft order in an attempt to recruit both players with later picks. However, the interstate pair also met with St Kilda on a scheduled visit to Victoria across the Melbourne Cup weekend, while Rozee met individually with the Western Bulldogs. While both remain in Carlton's sights, Turner believes keeping pick No.1 and using it to recruit Walsh should be a no-brainer for the Blues after the midfielder's terrific draft year. "Trade it for what?" Turner told AFL.com.au. "If it was a bit more open you might consider it, but if he doesn't get injured Carlton is going to get a 250-game player, someone who is going to play straightaway next year, they're going to get immediate impact and they've got a potential AFL captain looking at them. "Why would you trade that away? You trade to get those things, so why would you trade it away? It just doesn't make any sense. You're staring at a 12-year player." Only three clubs have multiple early selections in order to facilitate a potential trade with Carlton, making Gold Coast (picks No.2, 3, 6), Port Adelaide (5, 10, 15) and Adelaide (8, 13, 16, 21) the only realistic destinations for the pick should a deal progress later this month. But while many see Walsh as the ideal player for the Suns to rebuild around, given his talent and leadership qualities, Turner believes the teenager is a perfect fit for the Blues. "They'd certainly like to have him at Gold Coast," Turner said. "Without being too hard on them, Gold Coast is on its third rebuild. If he goes to Gold Coast, he goes there. But I'd prefer Sam to go to a club that's on the rise. "Carlton is criticised, but they're certainly a long way in front of Gold Coast. There's going to be players there that support him, whether it's Kade Simpson on a half-back flank, the two Curnows or Patrick Cripps. "Going to Carlton, he's certainly going to a more established club where he's going to get a lot more support. "Footy's a funny game, but I would be absolutely staggered if something like that happens." Walsh enjoyed a superb draft year with both the Geelong Falcons in the TAC Cup and with Vic Country in the national championships, earning comparisons to Greater Western Sydney star Josh Kelly with his ability to find the footy and read the play from stoppages. He averaged 32 disposals and 4.8 tackles with the Falcons and 29.5 disposals and seven tackles with Vic Country to establish himself as one of the draft's best prospects.